The biggest pain point for brokers is finding a reliable cryptocurrency trading platform. Cryptocurrencies and blockchain assets are in a boom! Forex and CFD traders have got wind of the hype about the phenomenal returns – now, they too are demanding access to digital assets on your trading platform. Like you, many online brokers and bookmakers are considering adding cryptocurrency assets to their list of offerings. Their biggest pain point is finding a reliable cryptocurrency trading platform. Online brokers not only want a technology provider, but they also want a business partner. Cryptocurrencies work differently from traditional money systems. Sending and receiving funds relies on 3rd party wallet services, which are rarely user-friendly. They expect users to cram long, complicated addresses, on top of managing their private keys. Your clients on the other hand, hardly have the technical background to navigate this daunting process. The cumbersome interfaces do not help either. The overall experience leads to a high abandonment rate. What is required is an automated wallet payment tool that seamlessly plugs into your platform. Integrating an entire closed cycle of cryptocurrency payments leads to fast and easy payments with no delays. Your clients do not need to leave your platform to access a cryptocurrency wallet. A fully integrated cryptocurrency service for payments increases conversion rates and makes for a better experience for your traders. Your customers need assurance their every order will get filled. Even with the crazy volatility of cryptocurrency prices, they expect an experience similar to CFD and forex trading. Matching these expectations boil down to liquidity and speed of execution. Liquidity comes from cryptocurrency exchanges. But you still need to pick the right ones and integrate with enough of them to have assured liquidity. You want to have several liquidity providers at your disposal as a buffer and back end integration with all of them for fast order execution. Your trading platform experience should match your client expectations. 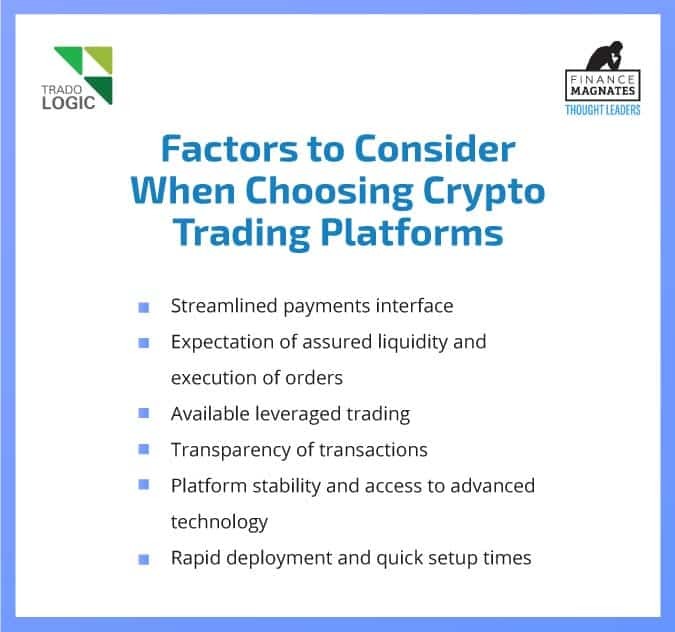 With margin trading features, you have all the flexibility to balance client demands for leveraged trading while protecting your funding accounts. Fiat bank transfers are known to get lost or delayed. The structure of the fiat system makes it impossible to identify where your client’s payments are stuck. Cryptocurrencies and blockchains introduce a new level of auditing and tracking assets and payments powered by a decentralized ledger that records ownership. Therefore, any transfers can be viewed and tracked on this ledger from owner to a receiver. You can rest easy knowing the location of funds and the time it will take for your client’s transactions to complete. Both you and your clients can see transactions coming in and reinforces trust on your platform. The last thing a trader wants is to get margin called because they couldn’t log in to close an order. The cryptocurrency market is a 24/7 global market. Prices move all the time and are not limited by geographic time zones. Traders expect full-time access to these markets. Significant market events could bolt from the blue and add to price volatility. Swing traders want to capitalize on volatility, while more conservative traders want to hold off on their trades. Your platform needs to be up and running 99.9% to satisfy your client expectations. Your clients will never be anxious about open trades once they trust your platform is stable. As a platform provider, you will also need to be agile and responsive to emerging technology. Using blockchain technology will keep your platform ahead of the curve. Incumbents are continually under pressure in the rapidly evolving Fintech industry. Cryptocurrencies and blockchain technology are a great example. In just five years, distributed ledgers have moved from a niche technology to a real threat to traditional system design. Every day more and more people including potential and existing clients come across the opportunities of trading cryptocurrencies. The mainstream media is pushing more stories to a wider audience driving demand for cryptocurrency services. The strong network effects of blockchain and cryptocurrencies are always playing out. Capturing the market now will position your platform for growing demand. We incorporated all these concerns in developing Krypton software. Our technology automatically assigns every user a wallet at the point of registration that seamlessly blends in with your platform. We do all the back end integration work that automatically converts any amount into cryptocurrency. The back end plugs into the top 5 cryptocurrency exchanges to source liquidity. We aggregate across these 5 sources to offer the best price, volume and margin trading on demand. 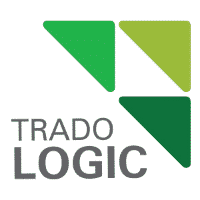 Our software package comes loaded with the standard leveraged trading ratio of 1:3 available on cryptocurrency exchanges for multiple digital assets. The margin call threshold for your clients is always under your full control. You can configure margin requirements for each asset anywhere from 0.2% to 100% depending on the leverage set. You can get set up in no time with our 2 week setup time to launch your crypto broker and go to market. Our package includes trading platform and CRM with the largest variety of crypto instruments, seamless deposit flow and an unmatched level of security. As a partner, we guarantee a day-to-day maintenance and systems monitoring. Our top notch IT professionals carry out regular upgrades to keep your platform running smoothly. We offer a trading experience that matches your client expectations. On the surface, cryptocurrencies and digital assets seem like a threat to traditional trading platforms. We believe it is the exact opposite. Forex and CFD trading platforms are unmatched in providing customer experience for traders. The cryptocurrency exchanges that exist today are struggling to build a reputation. Incumbent trading platforms have a reputation built up over 20 years. The truth is, blockchain assets are an opportunity for trading platforms to seize the opportunity and leap into the future. Blockchains will power the next generation of asset trading and now is the time to adapt and evolve.